Introduction: The IETE (Institution of Electronics and Telecommunication Engineers) conducts AMIETE examination (commonly referred to as AMIE exam) in Electronics and Telecommunication Engineering, Computer Science & Engineering and Information Technology streams. It was established in the year 1953 and is also recognized by the Central Government. AMIETE: It stands for Associate Membership of Institute of Electronics and Telecommunication Engineers. Benefits: A pass in AMIE Exam is recognised by Government of India for the purposes of recruitment to various superior posts and services under the Central Government while a pass in Diploma Level (DIPIETE) Examination or IEI Exam is recognised by the Ministry of HRD, Govt. of India for the purpose of employment. 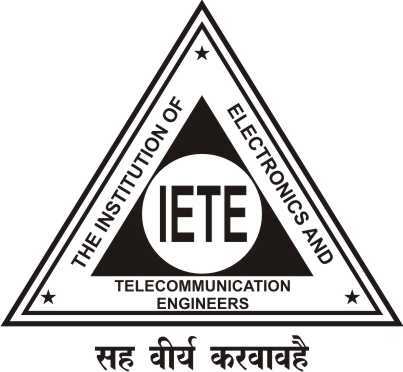 Conducting Authority: AMIE exam 2019 is conducted by IETE (Institution of Electronics and Telecommunication Engineers ). Frequency: The entrance exam is conducted twice a year, i.e in June and December. The Last date to apply for the June examination is May 2019 and for the December examination is October 2019. The AMIE exam time table is expected to be released soon. Development: AMIETE conducts seminars, meetings, conferences as well as educational research and development programs in the advancement and development of technology and science. Centres: AMIETE examination is conducted every year in June and December respectively at several Centres throughout India and a few abroad. Exam Level: AMIETE 2019 is a national level exam recognized by the Central Government, State Governments, Universities and Institutions in India and abroad for recruitment of high-level posts and services to be conducted on the AMIE exam date i.e 19th June 2019. Application Form: The Application Form for AMIETE 2019 will be available for the June cycle in April 2019 and for December cycle in October 2019 (tentatively). Candidates can fill the AMIE exam form in online mode. Examination: The Entrance exam for AMIETE 2018 will be held on the June 2019 and December 2019. The Results will be available on the official website for the June cycle is September 2019 and for December cycle is March 2020. Nationality: Citizens of India, as well as Foreign Nationals, can apply for AMIETE 2019 exam. Age limit: Aspirants shall not be less than 16 years of age in order to be eligible for the exam. Qualification: Applicants should have passed 10+2 examination with Physics and Mathematics from a recognized board. Students with a 3-year diploma course in Engineering/ Technology covering subjects of Mathematics and Physics up to 10+2 level along with relevant work experience are eligible to appear in the exam. And also, candidates pursuing higher education in the field of Physics, Electrical, Electronics or Computer science can also appear for AMIETE 2019. Note: A student member will only be allowed to write AMIETE 2019 examination only if he/she has enrolled has a student member of the institution . Availability: The Application Form will be available for June cycle is April 25, 2019 and for December cycle is October 25, 2019. Candidates can fill the AMIE exam form in online mode. Details: In order to complete the application form successfully the candidate must enter the details such as personal details, qualification details, contact details etc. Application Fee : Aspirants must enclose a demand draft of INR 6000 (separate DD of INR 350 for downloaded forms) and US 1000$ for foreign applicants. Read more about AMIETE 2019 Application Process and payment ways. Mode: The AMIETE 2019 examination will be conducted in offline mode (Pen-paper based). Paper Pattern: There will be two sections in the exam – Section A and Section B and consists of 20 theory papers, 4 labs and project work. Subjects : Questions are from physics, mathematics, and chemistry of 12th level. Besides this, an applicant has to undergo a project work, seminar and a Course in Communication Skills & Technical Writing. The course on Communication Skills & Technical Writing is mandatory but it does not count towards overall CGPA. Availablity: The Admit Card will be available on the AMIETE official website on June 5, 2019, and December 5, 2019. Credentials: In order to download the AMIETE 2018 admit card the candidate has to enter application number and date of birth. The AMIETE 2019 admit card contains details such as candidate's name, roll number, exam name, date, time, allotted centre, photograph, and signature. Mandatory : Admit card is mandatory and candidates will not be allowed to the exam without it. Admit card will be sent to all eligible candidates through posts or candidates can also download it from the official website. Sections: AMIETE examination syllabus is divided into two sections with 20 theory papers and a project work. Subjects: The questions asked will be from class 11 and class 12 syllabi of Mathematics, Physics and Chemistry. To know more about AMIETE 2019 Syllabus in detail. Centres : The AMIETE Exam is conducted all over India with around 50 centres. Selection : Candidate has to select any one of the centre as per their convenience. Candidates should clearly mention the Examination Centre and code in the application form. Declaration: The Results will be available on the official website for the June cycle is September 25,2019 and for December cycle is March 25, 2019. Credentials: In order to check the results of AMIE exam 2019 the candidates have to enter the register number and date of birth. Print out : Candidates are required to take the printout of the score card for counselling process. Counselling Cycle: AMIETE 2018 counselling starts for June cycle is August 14, 2019, and for December cycle is June 15, 2019. Documents: Original documents and certificates should be submitted by candidates during counselling for verification. Candidates will be called to counselling process based on the merit list. Read more about AMIETE 2019 Counselling. Application Registration Date: The Application Form's will be available for June cycle is April 25, 2019 and for December cycle is October 25, 2019. Last Date for Registration: The last date for Candidates to apply for June cycle is May 10, 2019 and for December cycle is November 10, 2019. Availability of Admit Card: The Admit Card will be available on the AMIETE official website on June 5 and December 5, 2019. Entrance Exam Date: The Entrance exam for AMIETE 2019 will be held on the June 15 2019 and December 15, 2019. The candidate age should not be less than 16 years in order to satisfy the eligibility criteria. The application is processed twice a year as for both the exams held in June as well as December. The last date to fill the application form for June session is May 2019 without late fee and for December session it is October 2019. For Indian Candidates, the fee is INR 6000. In case of foreign candidates, the fee is US 1000$. Reprocessing fee for the correction of mistakes in the submitted application form is INR 500. In order to change the stream selected by the candidates, they must have to pay INR 600 as a fee. Admit Cards will be sent to all the candidates to reach them by about May/November. Admit Cards will be provided 2 weeks before the AMIETE examination. In the case of non-receipt of Admit-Card by these dates, the candidate must get in touch with the Examination Centre & IETE HQ and obtain permission to sit for the examination. No complaint in respect of non-receipt of Admit Card will be entertained once the Examination is over. In case of non-receipt of Admit Card by March/ November, candidates are advised to contact IETE HQ and Examination Centre and obtain permission to sit in the examination. There will be two sections in the exam – Section A and Section B and consists of 20 theory papers and project work. Questions are from physics, mathematics, and chemistry of 12th level. Candidates can do project work after completing 14 compulsory papers of Section A and Section B. 50% is the minimum requirement to pass in project work. Fee for one theory paper is INR 800. Once the project work is submitted by students, later the results of this examination will be announced. Results of the examinations will be announced in September/ March for the June and December Examinations respectively and communicated to the candidates through Result Sheets separately. The result will also be available on AMIETE Website. Log on to the official website of AMIETE 2019. Click on the link related to ‘AMIETE 2019 Result’. All the candidates who are selected for this examination will be called for the admissions into respective courses to which they have applied. The counseling will be for candidates who have qualified the AMIETE examination.